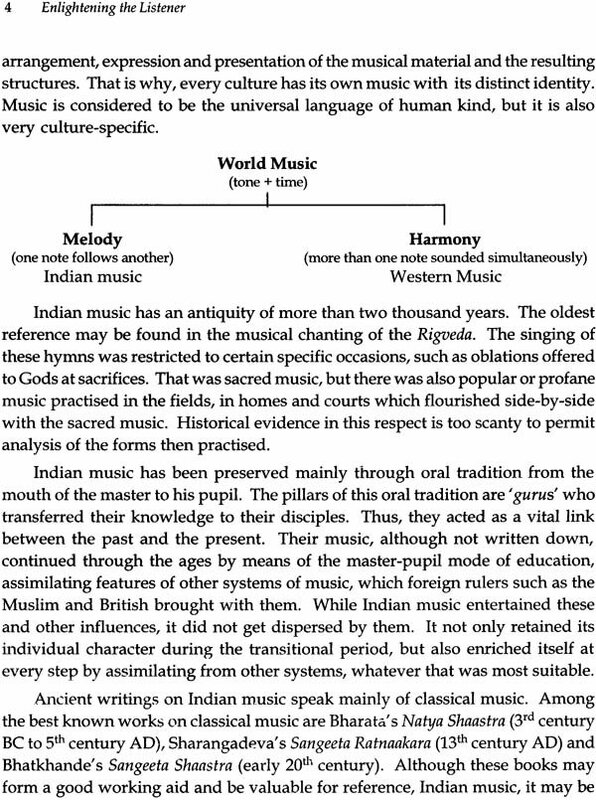 The writings on Indian music have been mostly on theoretical aspects and mainly by theoreticians and not by practicing musicians. It is still rare to find a woman performer who has written on music performance from different angles. 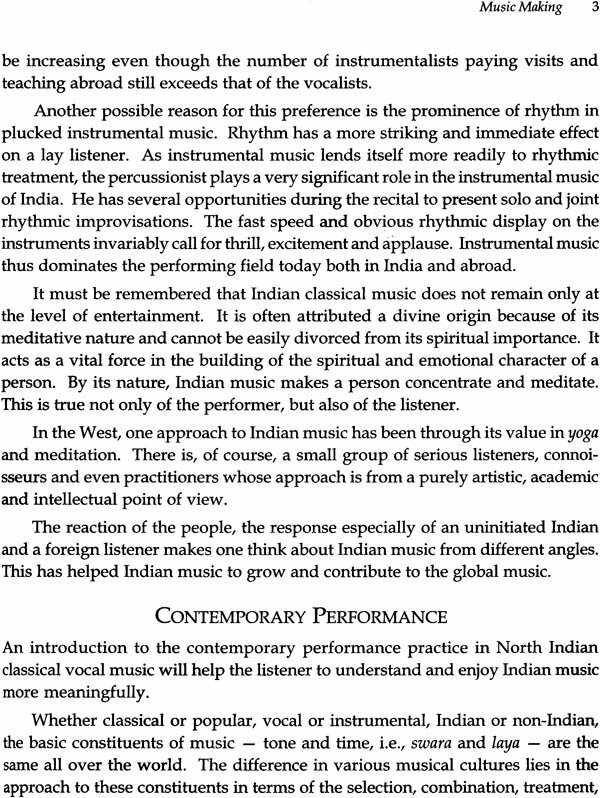 In ‘Enlightening the Listener’, Prabha Atre, a noted vocalist examines with a liberal and holistic approach various aspects of a Contemporary North Indian Classical Vocal Music Performance for a lay listener. While doing this, she critically and objectively tries to seek in the context of changing times, new meaning appropriate to what has come down from tradition. Her academic background, analytical mind, logical approach and communication skills put this book in a special category. 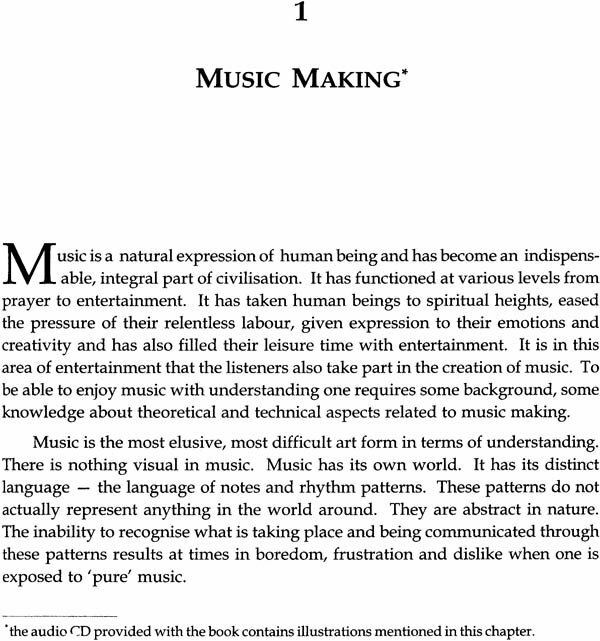 This books deals with various aspects of music performance as also institutions involved in ‘Music Making’. Dr. Atre’s diverse experience as a performer, composer, teacher and thinker has lent authenticity to this work. From a point of view of a lay listener, she unfolds artistically the creative process of music making and thus gently guides the reader towards better appreciation. 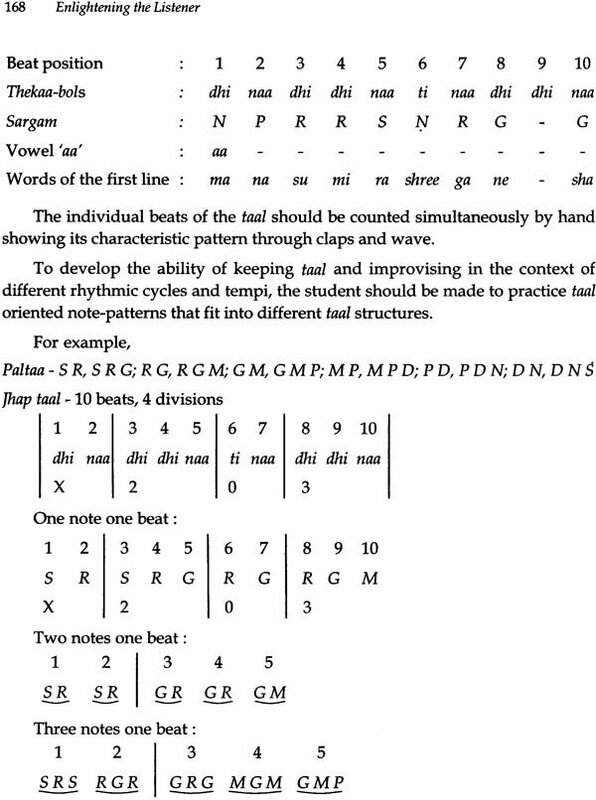 The accompanying recording with illustrations is an added feature of this book. 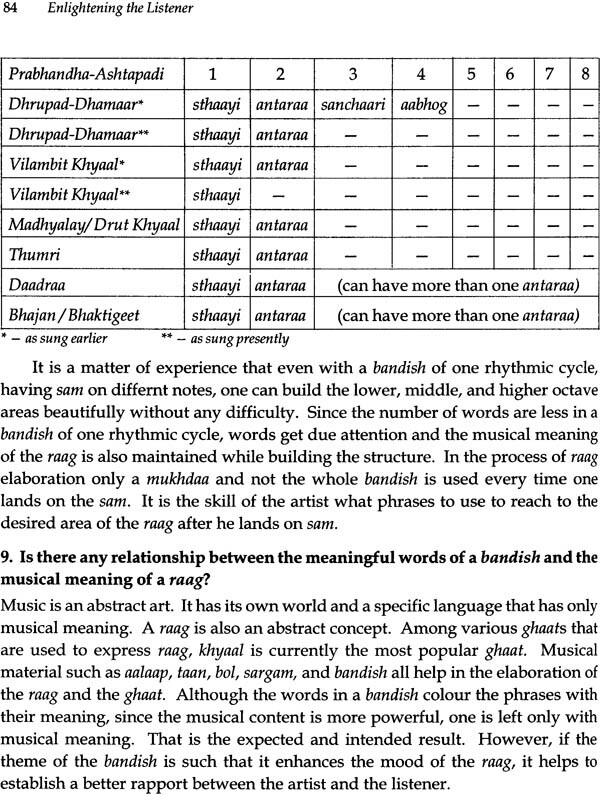 Listening to it will help the reader to identify the musical material and forms and give an idea of the technique involved. Padmashri, Padmabhushan, Tagore Akademi Fellow, Kalidas Samman and Sangeet Natak Akademi awardee Dr. Prabha Atre is an eminent personality in the field of music. 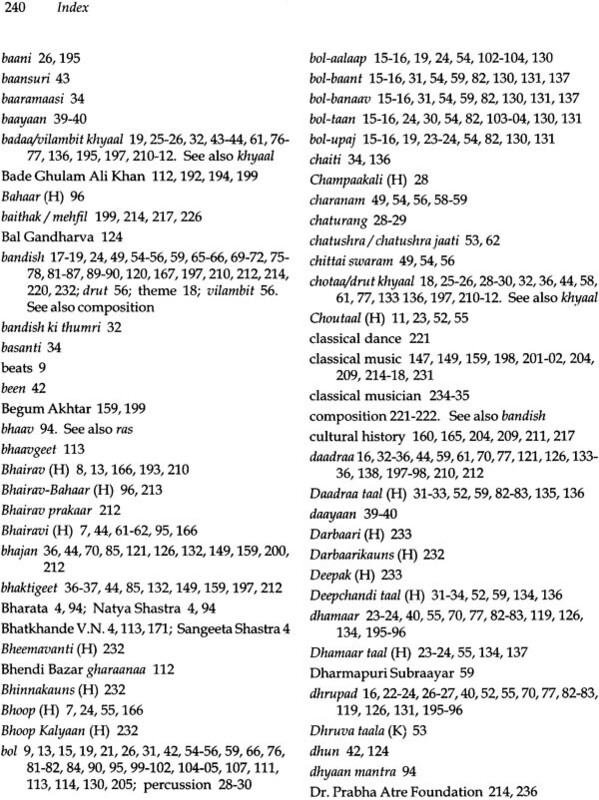 The various positions she held as Assistant Producer at the All India Radio, Professor and Head of the Department of Post- Graduate Studies and Research in Music at SNDT Women’s University, Mumbai and as Producer- Director of the recording company ‘Swarashree’ helped groom herself as a multi-dimensional personality. Dr. Atre has a rare blend of Skill and insight and has displayed constant innovation and creative endeavor which distinguishes her both in the classical and light- classical idioms. A senior vocalist representing the Kirana gharaanaa, Dr. Atre, was trained under Pt. Sureshbabu Mane, Pta. Hirabai Badodekar and drew much inspiration from the styles of Ustad Amir Khan and Ustad Bade Ghulam Ali Khan- renowned maestros of Indian classical music. Dr. Atre has been teaching in the traditional guru- shishya style for more than 45 years and is an acclaimed guru in Indian and abroad, both in performance and research. ‘Dr. PrabhaAtre Foundation’ set up by her aims to promote the cause of Indian culture and performing arts. She has also established ‘Swaramayee Gurukul’ to bridge the prevailing gap between the academic institutions and the traditional guru- shishyaparamparaa by nurturing talented students into all – round professionals. 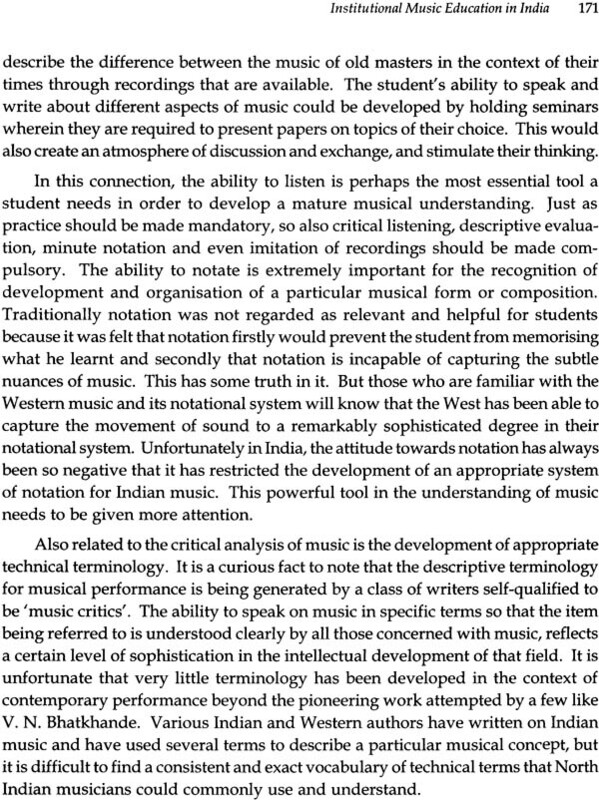 Dr. Atre has authored several academic books on the various aspects of music that are especially relevant to the present day performance. 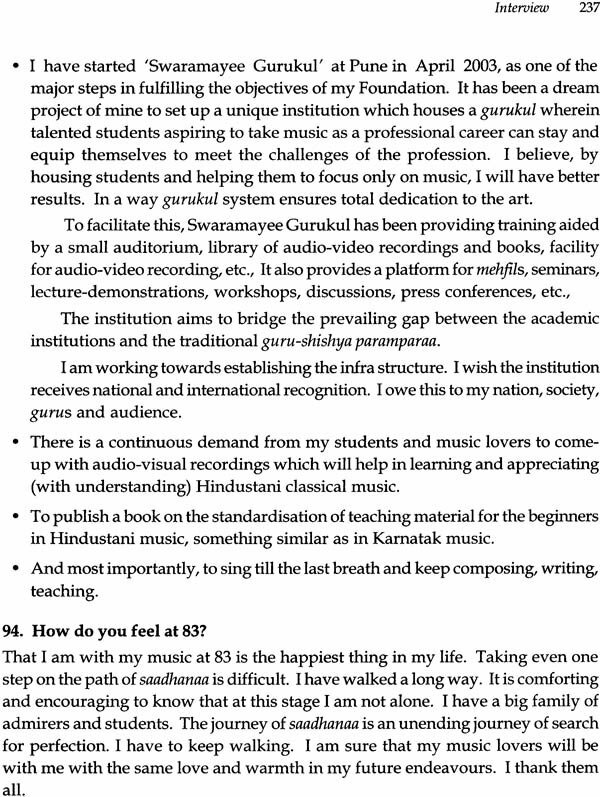 Her Doctoral thesis on ‘Swaramayee’, ‘Suswaraalee’, ‘Swaraanginee’, Swaranjanee’, ‘Swararangee’, ‘Antahswar’, ‘Along the Path of Music’ bear testimony to her various accomplishments as a performer, composer, academician, writer and guru. Her books have been well received by both lay knowledgeable listeners. 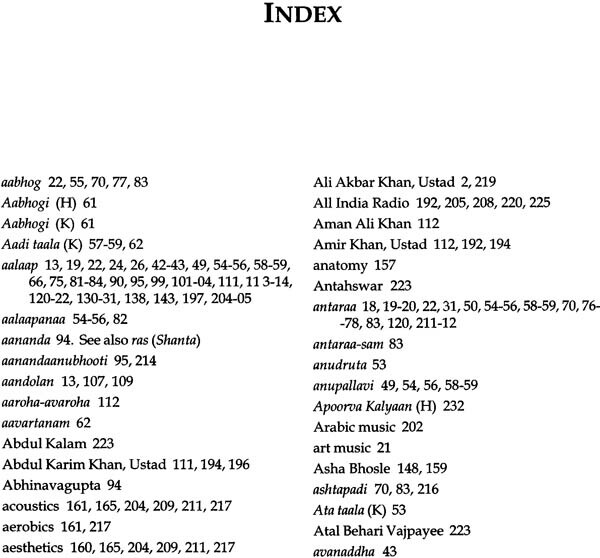 They have also been translated into other Indian languages. I am a professional singer. I have been singing since my childhood. I was trained in the traditional ‘guru- shishya paramparaa’ of music education which discouraged questioning and commanded complete surrender. I was lucky to have a guru who let me grow independently. My strong educational background and academic interest helped me look upon music with open eyes. My association with the All India Radio as Assitant Music Producer, with S.N.D.T. Women’s University as Professor and Head of the Department of Post- Graduate Studies& Research in Music and with ‘Swarashree’ Recording Company as Producer- Director exposed me to the whole world of music inside and outside. 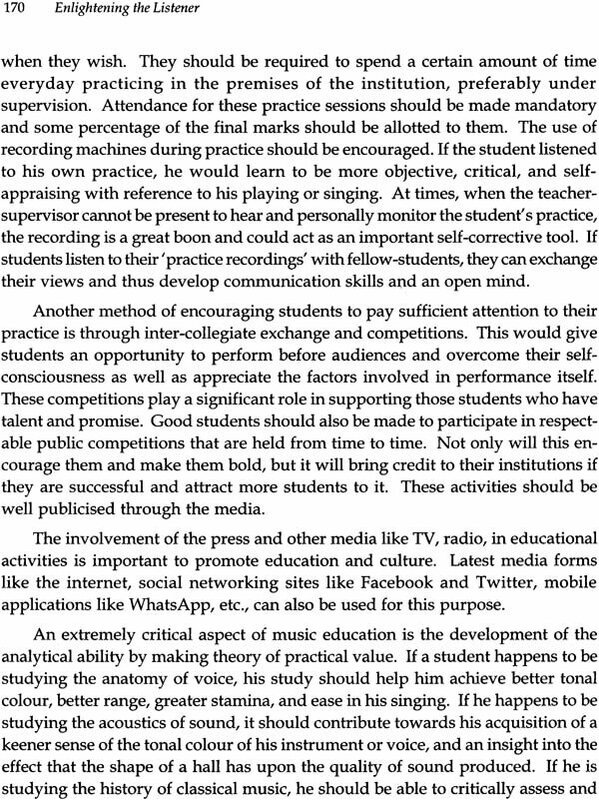 This exposure offered a broader perspective of various aspects of music and music activity. 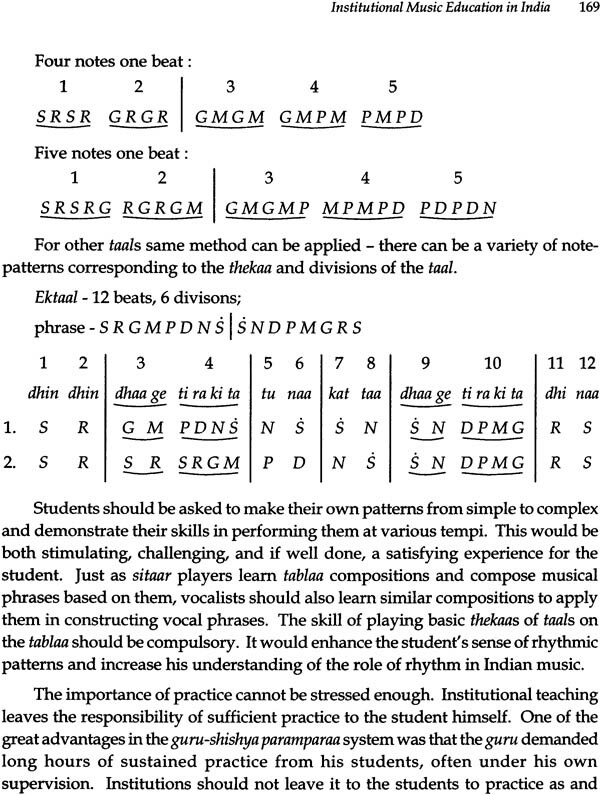 It not only enriched my understanding and stimulated my thinking, but gave an insight which helped me in music making in terms of skill, technique, content and expression. 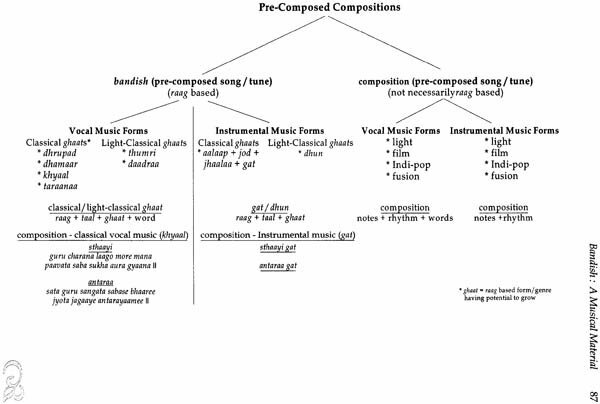 My need to communicate with my audience made me examine critically and objectively various things that were happening in the field of music – in the arena of contemporary performance. 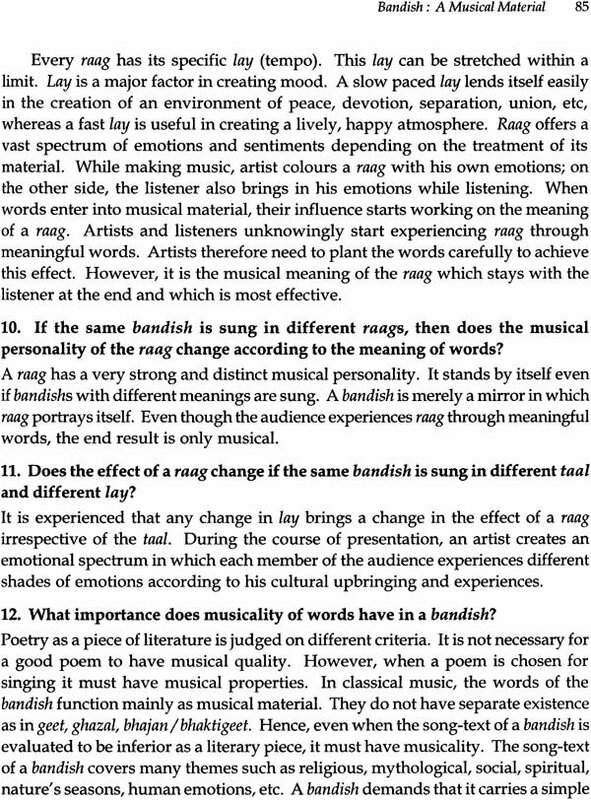 The articles in the book sing mainly about the contemporary performance, related activities and people involved in music making directly or indirectly. These articles are meant to be complete in themselves for independent reading. There are, therefore, repetition of some ideas. I am aware of them, but I have not edited those portions so that the reader can read these articles independently without having to refer to other articles. 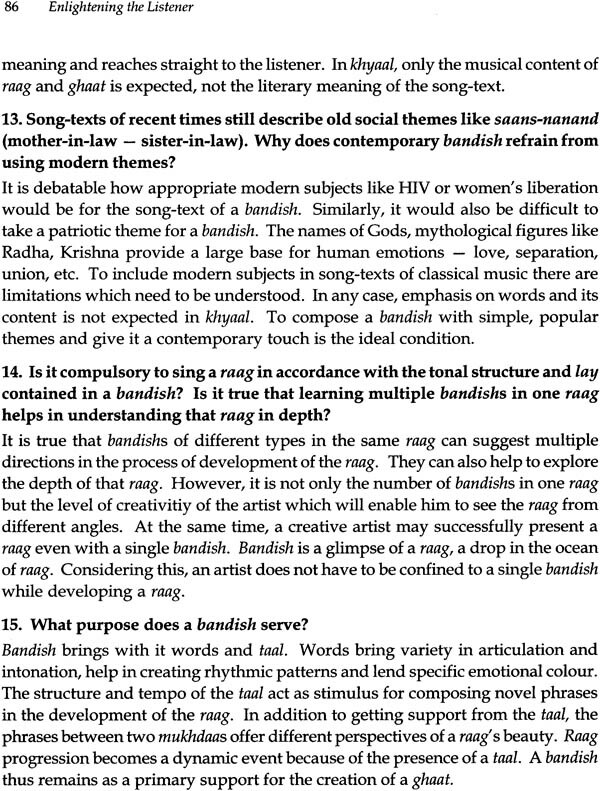 The reading of ‘repeated portion’ will also help the listener to understand the concepts better. I have arranged the articles maintaining continuity of their thematic consistency. The first edition of this book was published in 2000. During the last fifteen years, so much has happened in the field of music. This has made me go for the revised edition of ‘Enlightening the Listener’. 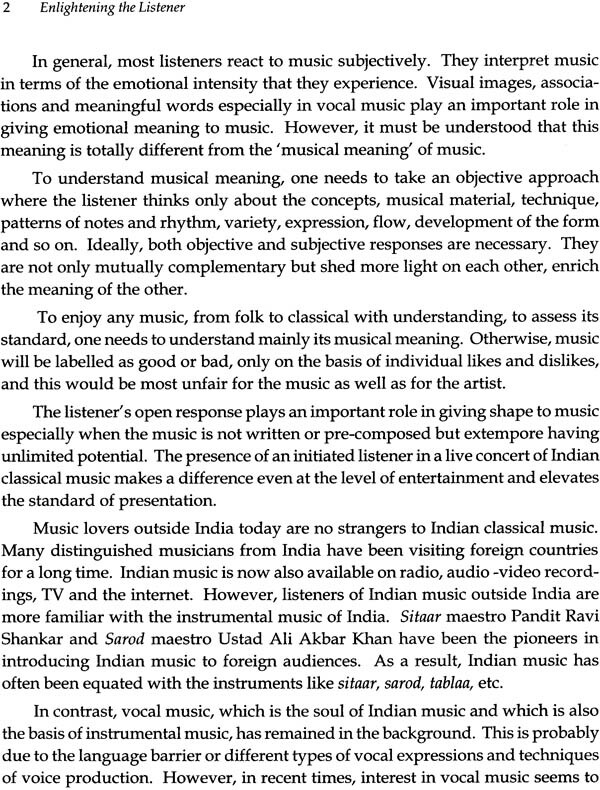 My other book ‘Along the Path of Music’ has also been revised and published alongwith.